this is the first rendering of one of the next projects I am working on. After the releases of Marsa Alam and Agadir I will do something different this time. Maybe someone can guess the next destination? Detailed objects surrounding the building will follow. 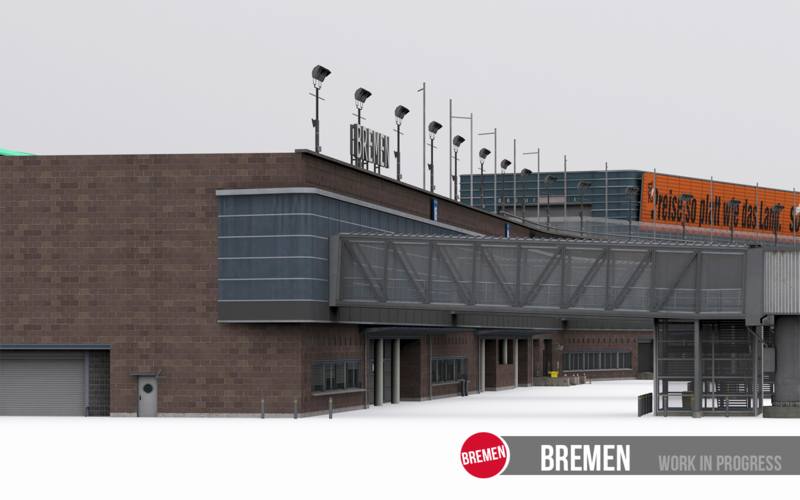 The terminal will also receive an complete interior this time! I think it's Bremen, Germany (BRE/EDDW). I am with Bill in this one, this is brilliant! All details really resemble the real thing. Thanks guys! And your guess is right. This is Bremen (EDDW/BRE) in Northern Germany. It is progressing extremely well at the moment! Cargo center, the local flying club, Ryanair hangar and the Atlas Air Service building are completely done. 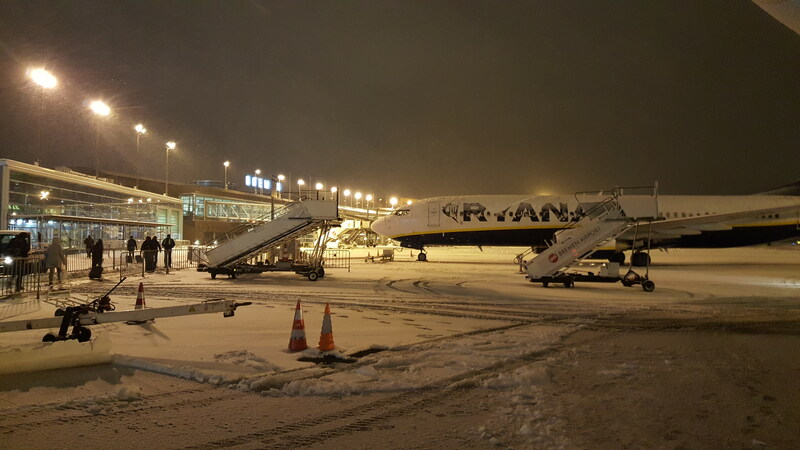 The Terminal E (Ryanair) now receives its interior modelling while the work on the main terminal has just started today. I hope you like it. More progress shots will follow very soon! Could you please post new pictures? I´m so much oooking forward to this airport. How is the progress? The terminal is almost done. New pictures will follow soon. 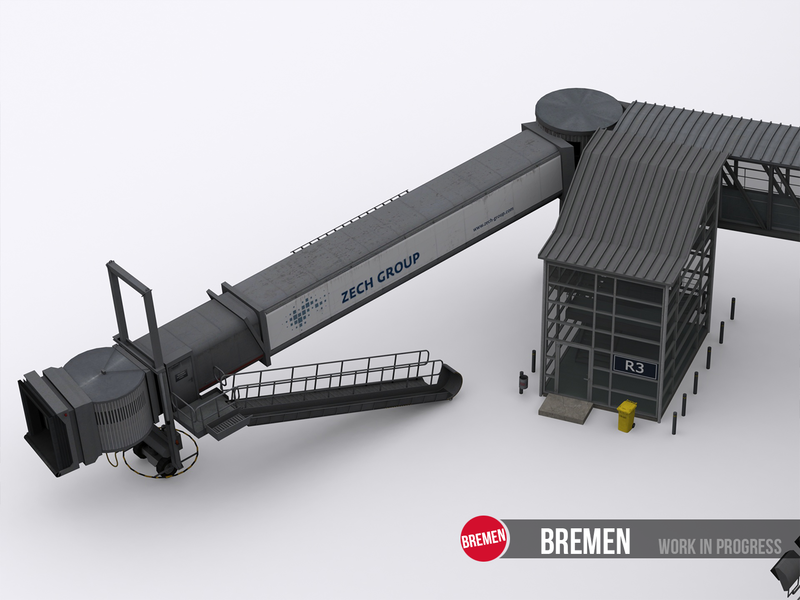 At the moment I am on vacation till the end of the month but I will continue with Bremen as soon as I am back. I am looking for the following (low poly) objects: A VW up!, VW Touran and a Cessna Citation CJ1+ as well as a BK-117 helicopter...if you can help me with this please contact me! Impressive, just impressive!!!!! How a detailed work so far and a really awesome demonstration of a perfect skill handling! May I ask which sim? It will be FSX and all P3D versions. Will you implement sode jetways? Hi! 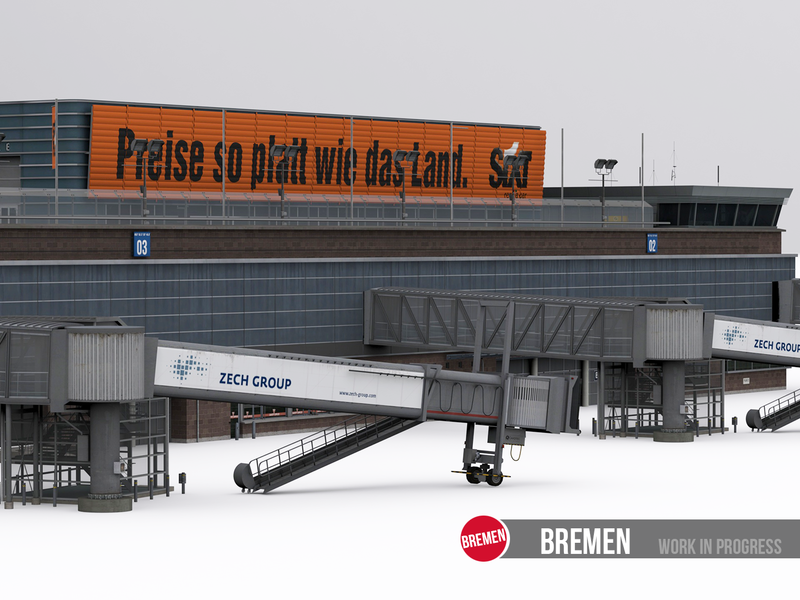 Nice to see someone making a scenery for Bremen, even nicer seeing such a good quality! If you need pictures from the airport, I can help you. Hope to have it soon! Jetways will most likely be SODE, yes.